Text description provided by the architects. 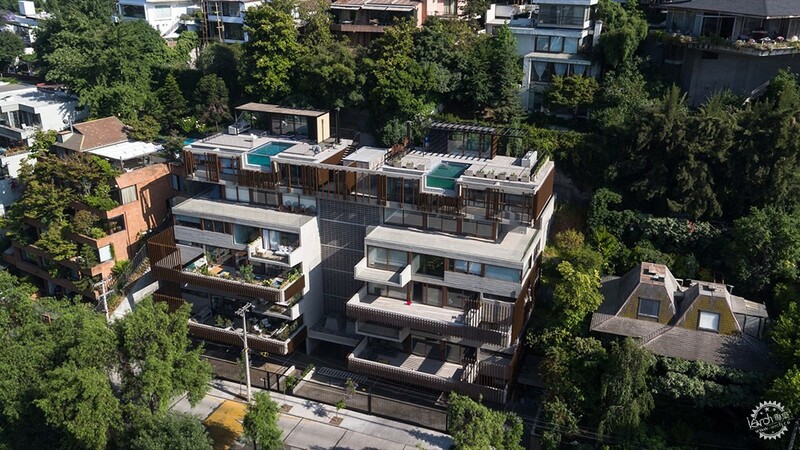 The assignment consisted in projecting six luxury apartments in a terrain with a steep slope on the southern slope of Cerro San Luis located in Santiago de Chile. This hill, which is a kind of island within the "El Golf" neighborhood, a district that has mutated into a predominantly commercial and office area, still has a residential scale, with houses, some of them with interesting architectural quality, low rise and terraced buildings. The building is created by placing four duplex units with the same characteristics in the first levels towards the "El Golf" neighborhood, while the last two are located on the upper level, deliberately settling the facade level of the lower units in order to reduce the presence of the building towards the public space and take advantage of the slope of the site. These last apartments are located on a platform built over the lower units and connecting with the upper level of the property, so that, unlike the first departments, have their four facades open to the exterior. Large terraces are proposed with a system of Aluzinc brise-soleil that cover the entire height of the duplexes in the end. This not only allows to create corners of greater privacy among these terraces but also allows the four lower units to appear clearly identified as four prismatic wooden volumes on which the upper units are supported. 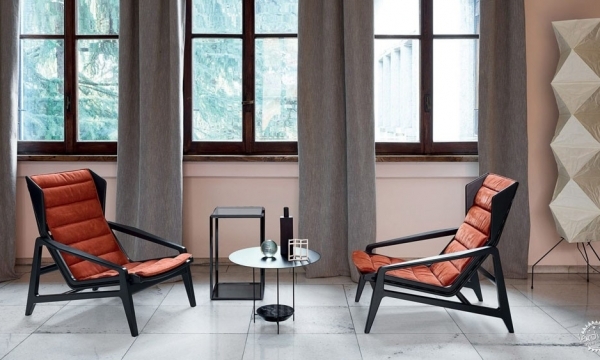 The interiors are structured as an open plan with few structural elements, so that it allows different configuration alternatives and evolutions over time. Only the bathrooms and kitchens have been considered as permanent enclosures, which were designed to adequately serve all the proposed program alternatives, given the future difficulty of intervening the facilities of said enclosures. The two upper units have a terrace and patio on all sides as well as an observation point with a glazed pool on the deck, from which you get a privileged view of the city.